I am painting about love and relationships, obsessions; parts of life which are often subterranean. 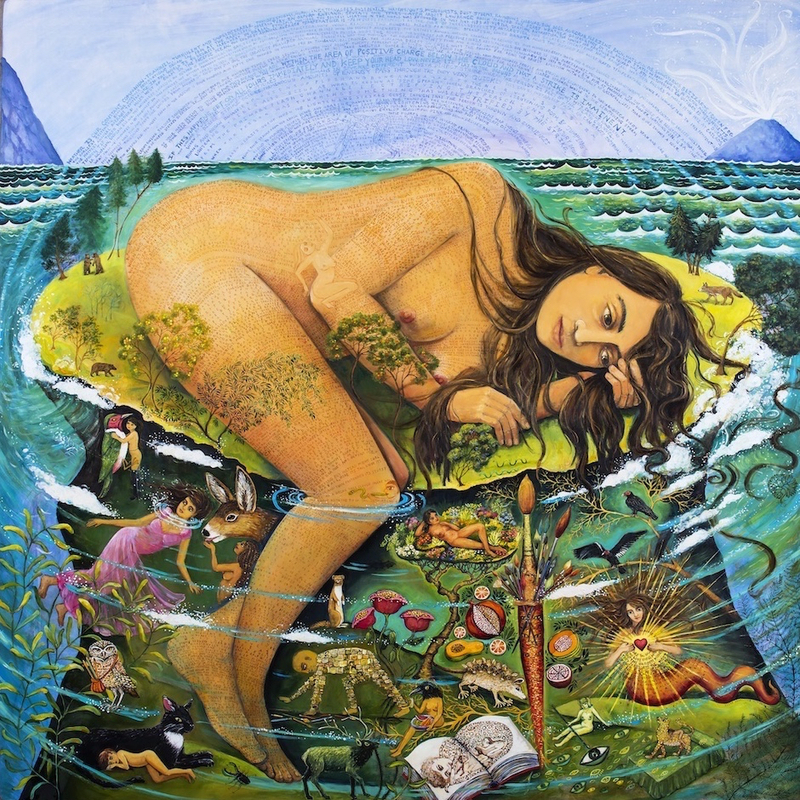 My work explores transformations; where an undeniable need for change can occur that is both exciting and enlightening. An ongoing theme in my work is rewilding the heart; to inspire deeper connections to wild animals and wild lands. 1. Unexpected Odyssey, 2018, oil on clayboard, 46" x 60"
2. 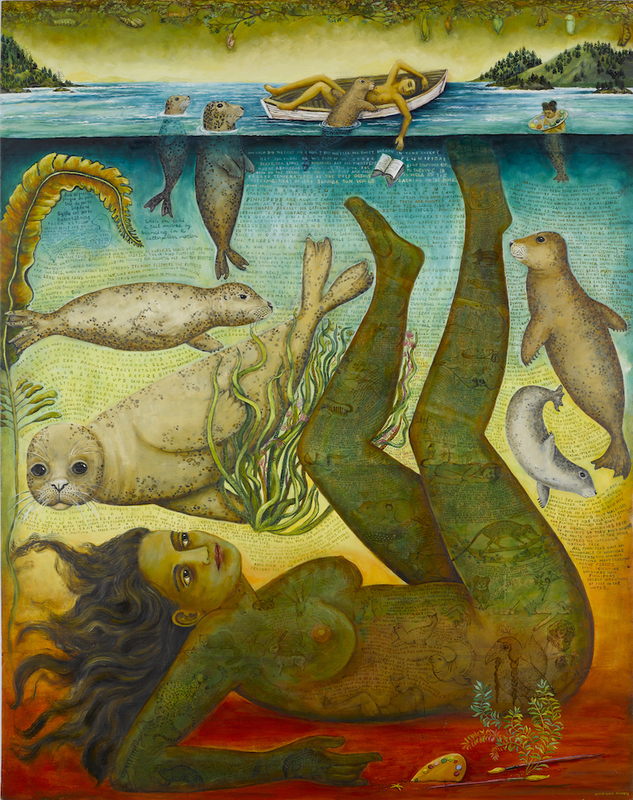 Reverie of the seals, 2018, oil on wood, 43" x 34"
3. 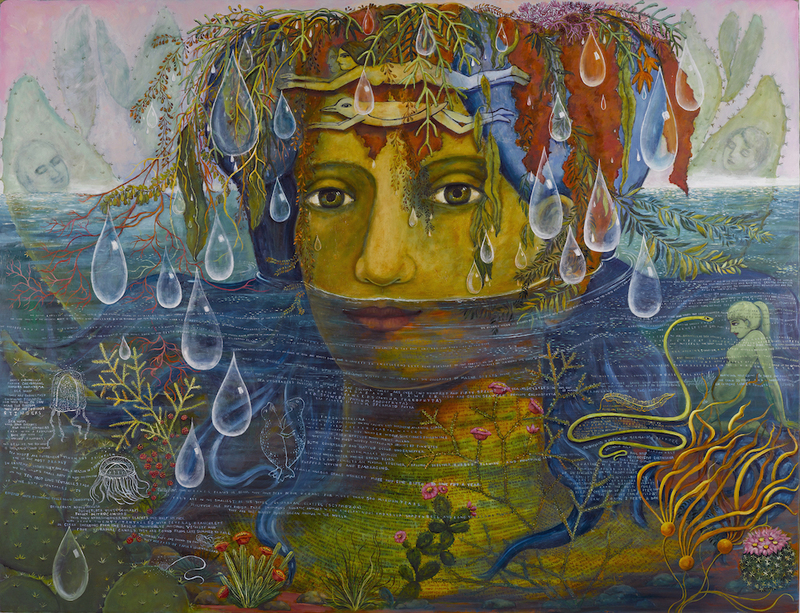 Undercurrents, 2016, oil on clayboard, 50" x 50"
4. Gato Montaña, 2017, oil on wood, 34" x 76"